Can You Hear Me Now? Hiring a Competitor’s Star or Day-Old Bread? In the Talent Acquisition world, hiring a big name player from a competitor can be a huge “get,” or it can backfire. “What do you mean, RJ? I thought hiring stars was what we want.” My answer is sometimes. Two examples from the press recently show how different scenarios play out. Investors decided Tuesday that adding Scott Kirby to the United Airlines turnaround formula made the company worth $1.5 billion more. Shares of the airline rose as much as 9.58% in trading Tuesday against the stock’s previous closing price—sending the airlines market cap up to $16.6 billion on news that it had hired Kirby as president, away from rival American Airlines. … Wall Street seemed to approve of United’s decision to hire American’s No. 2 executive, with Raymond James upgrading the stock to the equivalent of “Buy” following the news. That’s a key hire, because it is seen as solving multiple issues within United. It adds a deep aviation expertise, a revenue flow guru and an additional possible successor to United’s current CEO. Strategic and immediately impactful. Check and check. You might have hired Verizon’s spokesman, but he’s from a bygone age, one in which people really did talk on the phone. Who does that now? … Jeff Nelson, Verizon’s VP of corporate communications, seems unconvinced by Sprint’s derring-do. 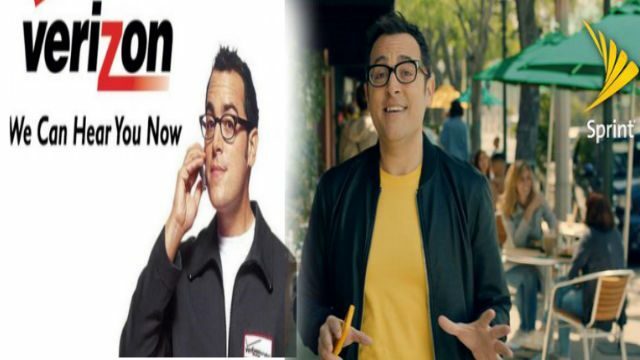 He told me: “Sprint’s using our 2002 spokesman because they’re finally catching up to Verizon’s 2002 network.” I am concerned, though, that its ads with Marcarelli may not be working as Sprint would wish…This, in the ad business, is a classic sign of fear. Hiring a former star is not nearly the same as hiring today’s high-performing star. Hiring a former star is like getting a deal on day-old bread. Same product, different experience. I am betting the Verizon guy was saying, “Yes!” the minute the phone rang with an offer. That’s not an impact hire. That’s just sad.